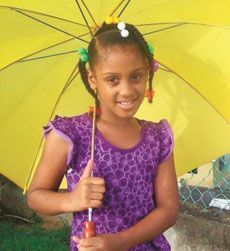 Birthday Greeting to Jovianne Edwards who is celebrating 8yrs on 11th March, 2011, from your wonderful parents Elroy and Wendy and your sweet sister Amaia, grandparents, aunts, uncles, cousins and friends. Enjoy your day, sweetie. May God continue to bless you.